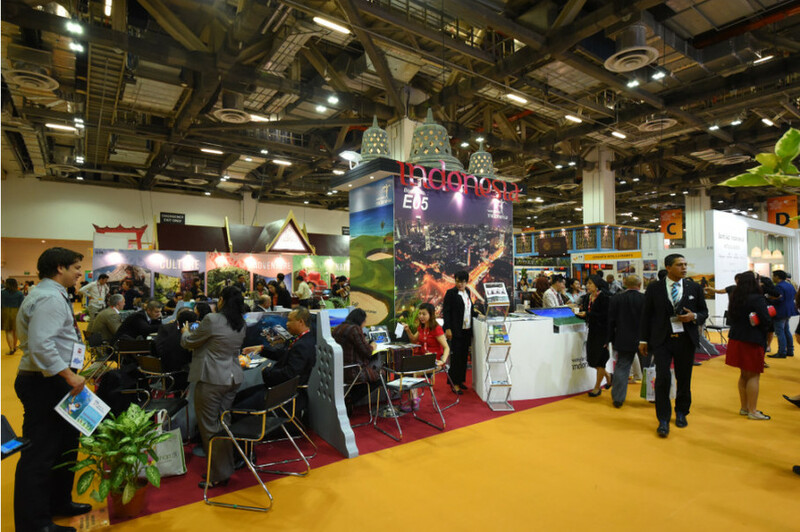 Indonesia is currently taking part in the International Tourism Bourse, or ITB, Asia 2017 trade show at Marina Bay Sands in Singapore, from Tuesday (24/10) until Friday. Indonesia has a booth called "Maritime Culture of Wonderful Indonesia" at the trade show which features 90 industry players from Indonesia all promoting Indonesian tourist destinations. "[Our] Wonderful Indonesia [brand] is all over ITB Asia this year. We have a full-sized Phinisi boat at our booth even. There are also baristas, face painters, masseurs and a virtual reality experience," Ngurah Swajaya, Indonesian ambassador to Singapore, said in a statement on Friday. Phinisi is a traditional Indonesian sailing ship native to Makassar, South Sulawesi. A full-size version of it is placed in the middle of the Indonesian area of the exhibition to attract visitors. The Indonesian booth is located at the Sands Expo Convention Center, Basement 2, Hall E.
"ITB Asia is a forum that gathers credible buyers and sellers. Most of them have made appointments for meetings with us since June 2017," said Rizki Handayani, the ministry's assistant deputy for Southeast Asia market development.